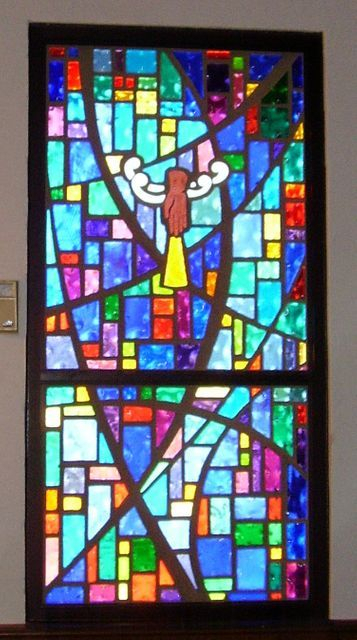 In 2007, Laws Stained Glass Studios provided (8) faceted glass windows for Moore's Sanctuary African Methodist Episcopal Zion Church in Charlotte, NC. 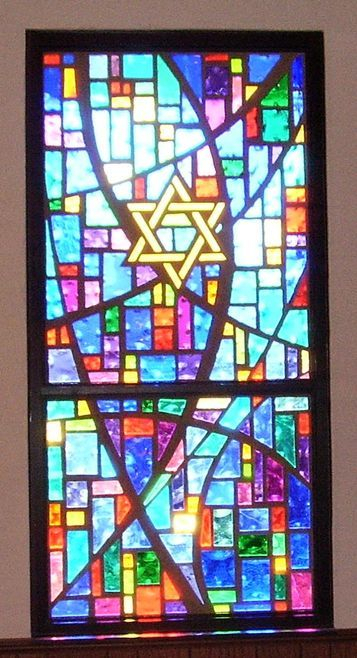 The eight windows (size 41" wide x 82" high) each contain a symbol. Laws removed the existing steel frames and windows. Laws installed into the brick opening a new dark bronze aluminum frame. The faceted glass panels were set into the new frames. 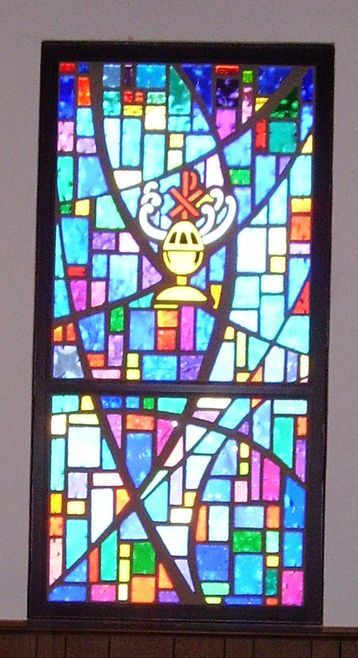 Close-up of the faceted glass window from the outside. This window has a dark bronze aluminum frame set into the masonry opening.